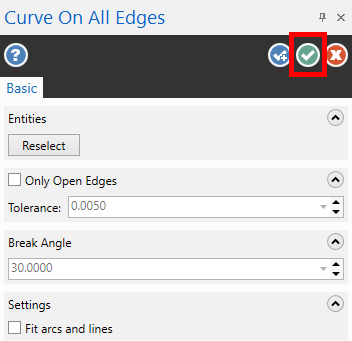 Select OK from the Curve On All Edges panel. 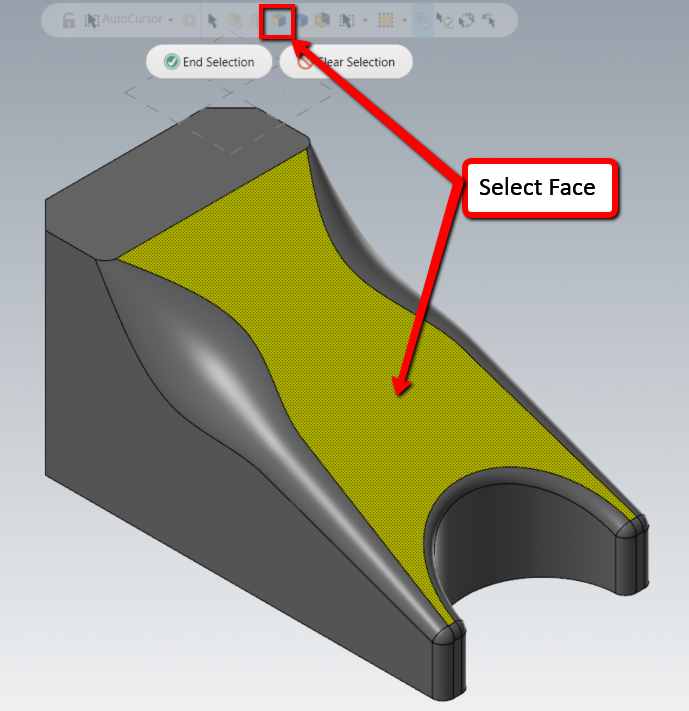 Select surface. 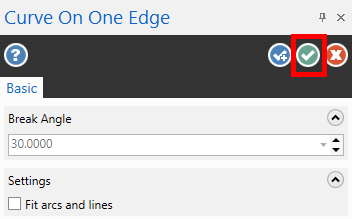 Drag the arrow to the desired edge for curve creation. 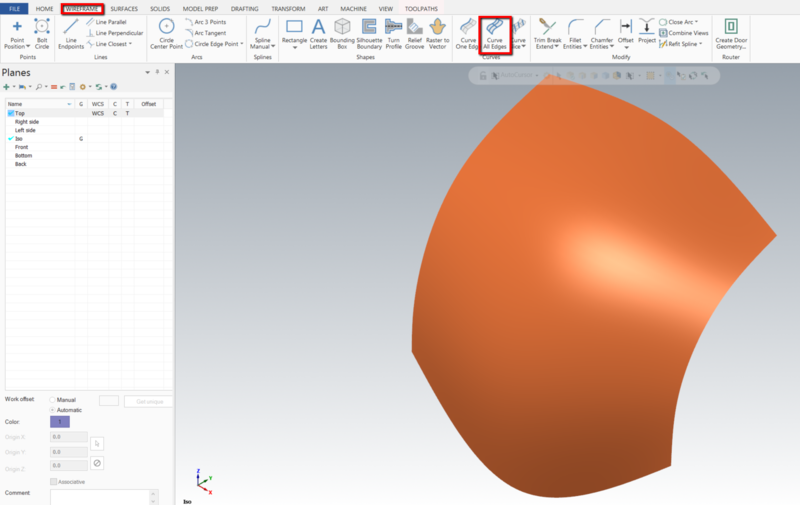 Once all desired curves have been created, select OK from the Curve On One Edge panel. 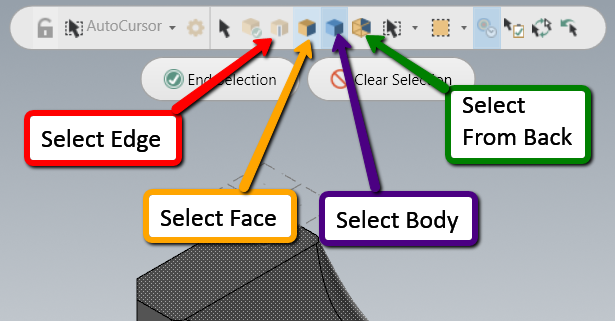 Activate appropriated selection type for desired selection. 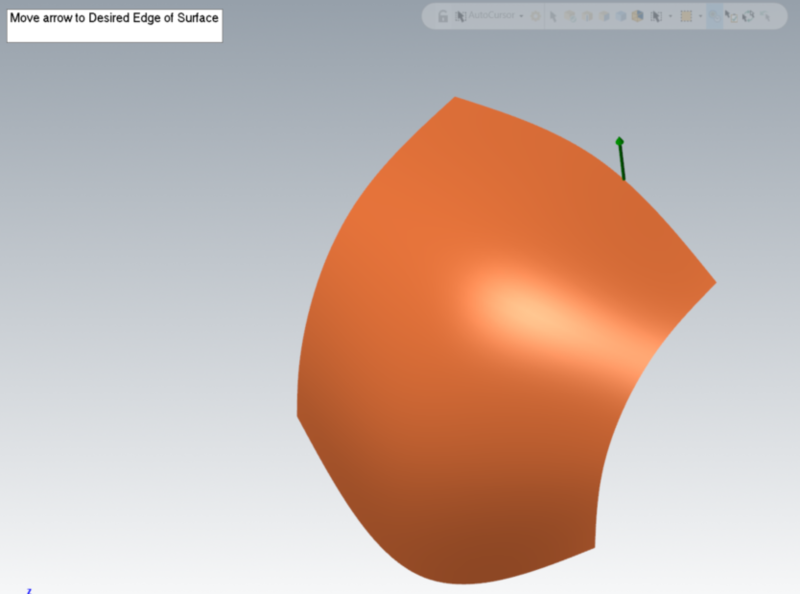 In this example, curves will be applied to one face of the solid only.